To understand the true meaning of this innovative method, read the following information provided about my quality. Read to the bottom to find out the difference. 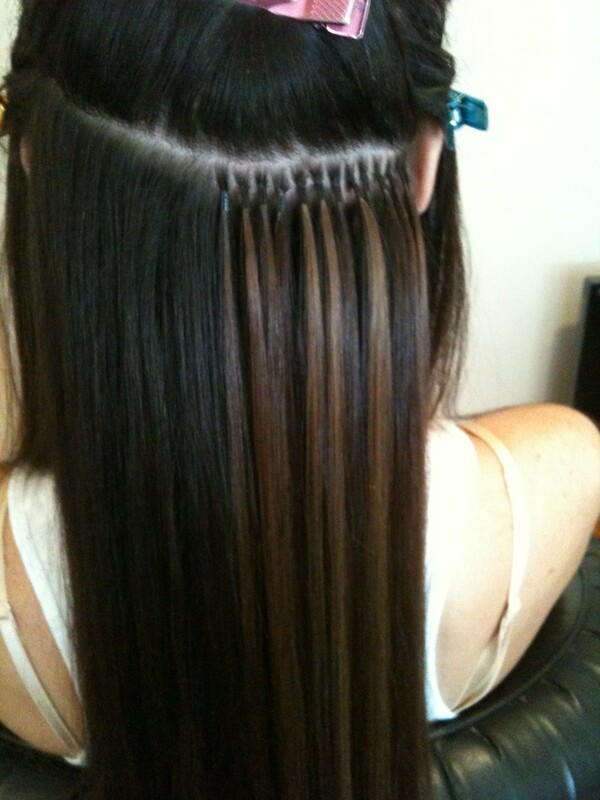 To embrace the quality of this hair extensions system, you must first understand the basics of other systems as well. You might already have been a victim of one of these unpleasant systems. One of the most common hair extensions are bonded or woven to the natural hair in small strands attached close to the scalp. The most common method of binding hair extensions is with a synthetic glue-like bond that is supposedly safe for both the scalp and natural hair. This specific method known as, GL prides itself on using only a “safe” keratin bond to adhere the extension to your hair. Keratin is a protein found WITHIN the hair shaft. Once removed and used to create a “bond,” it is now simply an ingredient in glue. It provides no protection against hair damage. Keep in mind as well, the method of attachment will vary with the stylist and depend largely on how he or she was taught to perform the service. 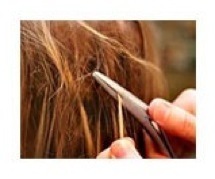 Thousands of woman suffer from hair loss due to this crude system. I’ve seen first hand the dangers of GL and the harm/damage it has on hair. Removing keratin bond, glue bond, with pliers in order to crack through harsh shell. My system of virgin European hair extensions begins with 100% human hair imported from select regions of Europe and Russia. Through tons of leg work and research, I teamed up with an insider, and was able to secure through the U.S. government, the only independent importers of REAL virgin human hair. All other salons and individuals simply say “I have the best hair.” They simply repeat what their enormous supplier tells them. 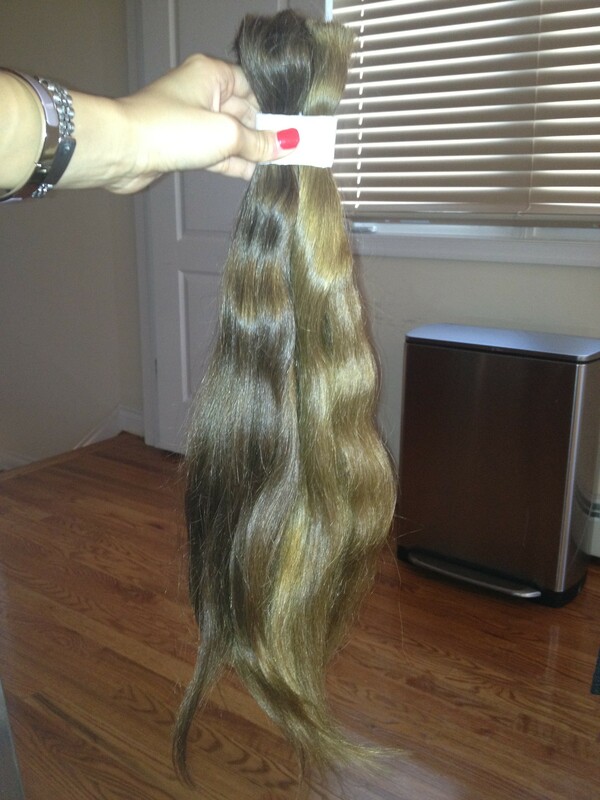 I am in contract with several now and am able to truly offer full cuticle human hair extensions. 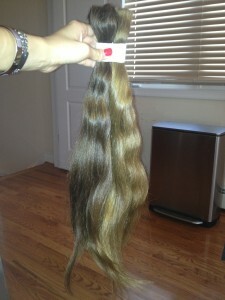 I use Greek, Spanish, French and Italian hair extensions from Western Europe. From Eastern Europe, I use Polish, Bulgarian, Russian, and hair from Ukraine. 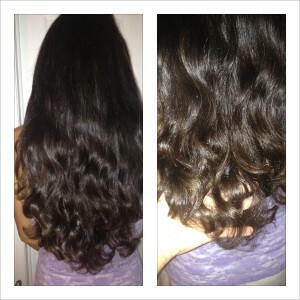 The textures I offer are straight, slight wavy, body wave, a natural wave, loose curl and curly hair extensions. Only a trained eye, like my own, would be able to know which origins offers exact matching curls to the clients own. 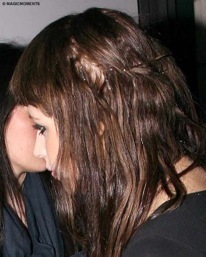 It is highly unlikely to apply hair extensions in the same place on every head, expecting the outcome to be a success. Every client is different and unique in their own way, with every head being so different, the placement MUST vary accordingly. Each individuals hair grows in different directions, making it so important to apply these hair extensions properly. I use tiny cylinder “links” to hold the hair in place. Cylinder is a safe choice because it allows the versatility of being able to still color your roots and style as usual. The links are colored with over 40 shades to be able to match the exact color of the clients root hair. There are also a variety of sizes to meet the texture needs of the client as well. I’ve never seen any other stylist work with the care and effort that I do. My primary concern and goal is not about making a sale, but satisfying my clients needs as well as changing their lives.